The Food and Drink sector is a high priority for Northern Ireland. The region has a proud history of agricultural production and a strong reputation for quality products with a very marketable provenance. Northern Ireland’s food & drink sector is delivering increasing productivity and high levels of innovation. There are over 400 Food and Drink processing companies in Northern Ireland representing 25% of the total manufacturing sector. With a significant market on our doorstep the industry is preparing for significant growth . Lisburn Castlereagh’s logistical connections allow fast transport across the island of Ireland and to the rest of the UK. Whether you’re a food or drink manufacturer, an equipment manufacturer, a packaging company or a food and drink distributor, Lisburn Castlereagh provides everything you need to develop and expand your business. An estimated 25% of all Northern Ireland private sector employment is derived from the agri-food sector. Food and Drink companies setting up in Lisburn Castlereagh will benefit from lower labour costs than in the rest of the UK and a skilled and productive workforce. The market opportunity for new investors is highly attractive. Lisburn Castlereagh’s road and rail connections allow fast access across Ireland and critically to a choice of Northern Ireland’s airports and sea ports for distribution to the rest of the UK and beyond. Coca Cola’s new state of the art facility in Lisburn Castlereagh was located there because of the excellent road infrastructure which supports all-Ireland market distribution. Lisburn Castlereagh has a number of strategically located and successful business parks which are ideally located for Food and Drink production and distribution. Coca-Cola HBC Northern Ireland has its new state of the art manufacturing plant in Lisburn. 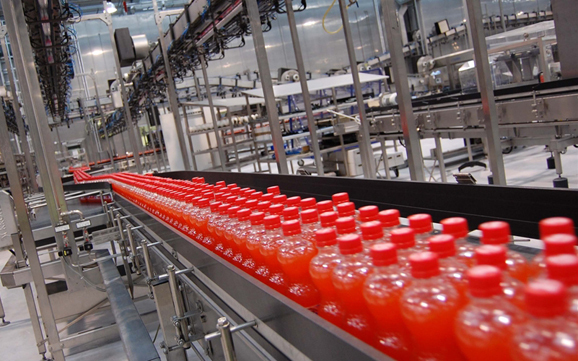 The Lisburn plant produces, distributes, markets and sells a wide range of soft drinks to an all-Ireland market. Lisburn’s location and excellent road connections allow Coca Cola to reach customers across Northern Ireland and the Republic of Ireland cost effectively.